Using your bike or walking for transportation is a great way to save money, improve your health, and help the environment. It’s also a great way to reduce stress caused by traffic congestion. The number of people who bike to work grew about 60% in the last decade. With so many more people making bicycling part of their workday routine, biking has become the fastest growing mode of commuting. 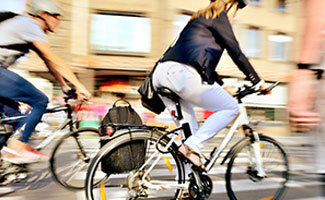 Biking may be the only solution for the “first” and “last” mile of your commute. Transit makes taking longer trips easier with buses, ferries, and light rail vehicles equipped with spaces for your bike. Incorporate public transportation into your travel plans by checking Google Maps for Transit. 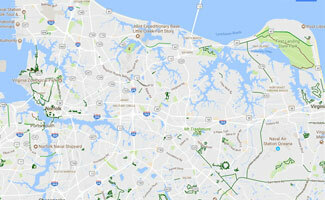 The Hampton Roads Transportation Planning Organization offers regional active transportation information about safety, usage, bicycle and pedestrian laws, and facility types. Search there interactive map for current and planned bike infrastructure and amenities. 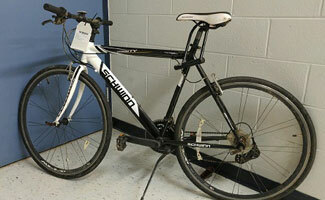 Bike Repair and Bike Racks - Air pump and other tools for quick repairs and adjustments to your bicycle. Bikes are hibernating for the winter! Will post stations in the Spring! Visit the PACE website. Bus: Bicycle racks are located on the front of Hampton Roads Transit, WATA Suffolk Transit, and Star Transit buses. Each rack holds two bikes. Light Rail: Bike racks are available inside the Tide train and many stations have bicycle parking. Ferry: Bike racks are available on-board HRT’s Elizabeth River Ferry service. Looking for the best route to take? Check out city bike maps below or use Google Maps to plan your trip. Bike advocacy groups are a helpful resource for routes, travel tips, and more. Lost your bike on transit? Sign up for this free program to earn rewards for sharing the ride. If you commute to work by transit, vanpool, carpool, ferry, or bike, sign up for this emergency ride program. Registration is free.